One of BadgeBox’s functionalities is the possibility to create teams and organize communication, data and task sharing between team members. All it takes is to select employees that are being a part of a certain group. This has to been done by an administrator who can then enable head of team as a person in charge for timesheet and time-off request management. Moreover, team members have the possibility to see availability of other members, communicate with them, share documents and work tasks. It is also possible to set up a synchronization with a certain task. 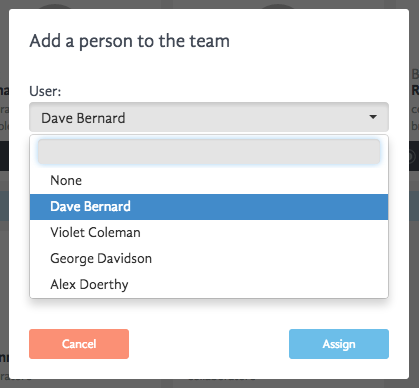 This means that if the administrator assigns a certain task, that is syncronized with a certain team, to a specific user, this user will be automaticly added as a team member. In this picture we can see an example. Team called “Analysis” has three members and a team leader. 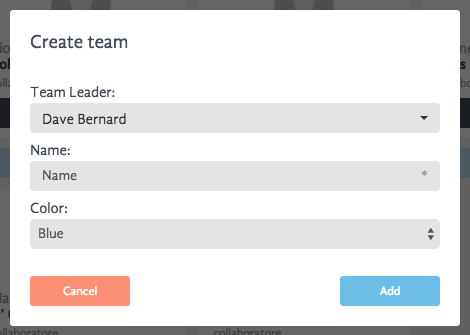 In order to create a new team it is necessary to click on the button “Add team” and enter group name as a required information. In addition to that, it is possible to define a color and leader who can be authorized by the administrator to approve team member’s requests and timesheets. Each team can be modified in every moment and a new member can be joined. As we can see in the first picture, leader and the administrator can see team’s status (online status of each member) and can easily communicate with every member sending direct messages to a specific member.